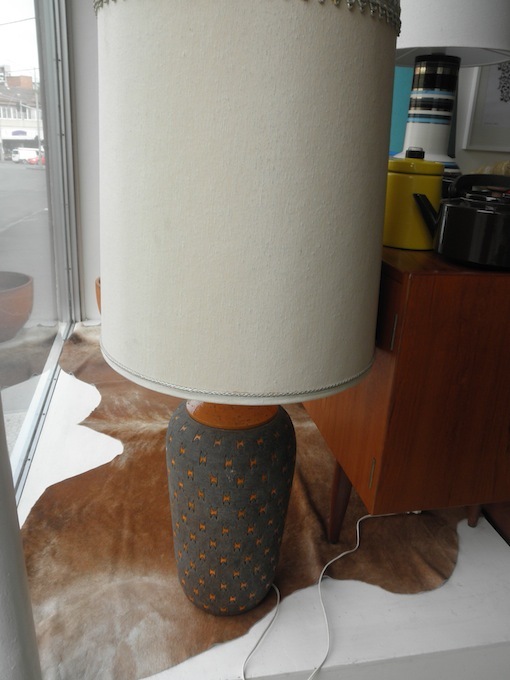 This huge Bitossi Aldo Londi lamp is the biggest I have seen. The ceramic base alone is over 60 cm high without the light fitting. The shade takes it to over 120 centimetres tall making it a great lamp for a table/ sideboard or even use directly on the floor as a standard lamp. It has orange gloss glaze over the impressed shapes and neck and a matt dark glazed background.